Access off of SW Denney Rd. 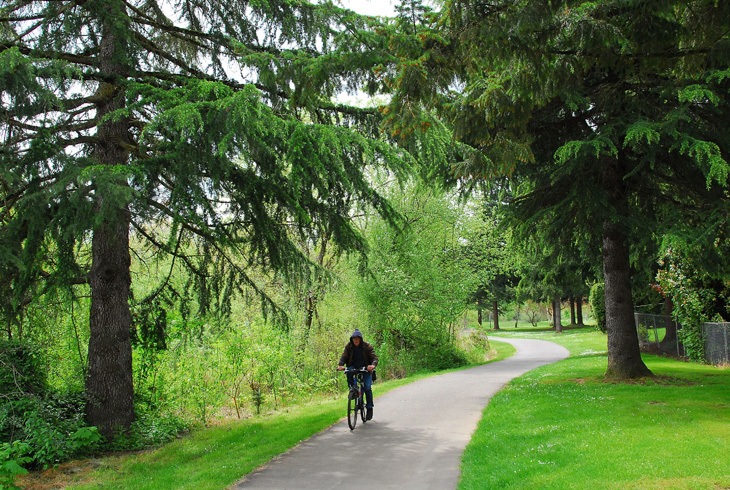 The Fanno Creek Greenway is a stretch of park along the Fanno Creek Trail in the Vose neighborhood of Beaverton. Stretching from SW Denney Rd to SW Hall Blvd. 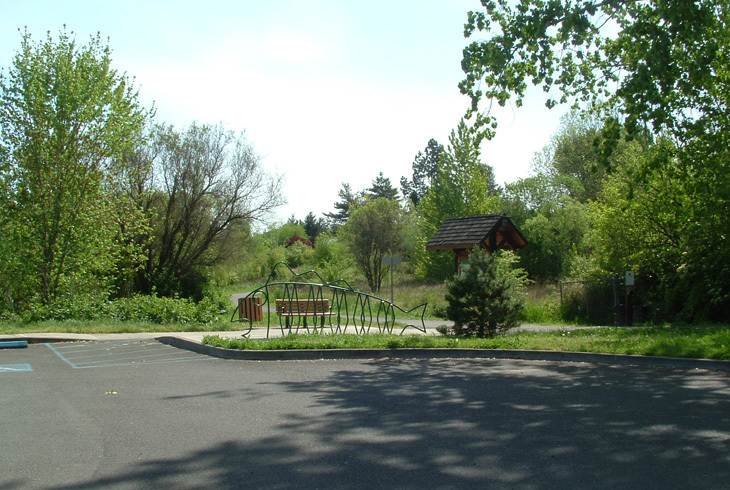 and Greenway Park, the greenway consists of a section of Fanno Creek and wetland areas. Access to the greenway is from a small parking lot on SW Denney Rd. 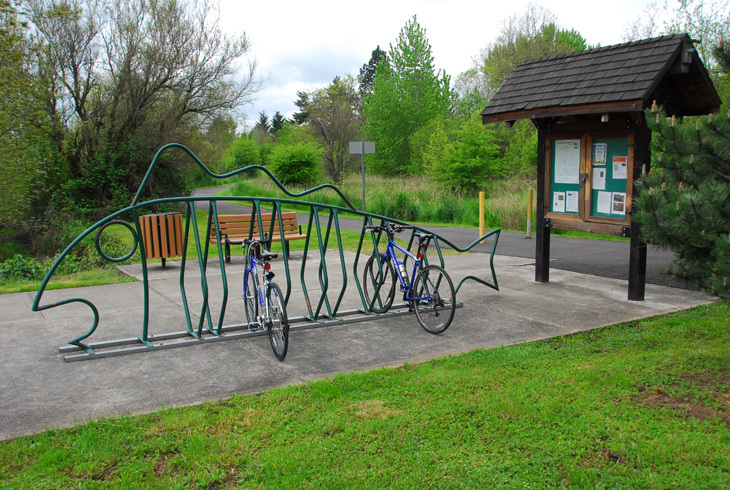 (recognizable for its fish-shaped bike rack), from Greenway Park (via a lighted crosswalk at SW Hall Blvd. ), or from a trail from SW Fanno St. (via SW Bel Aire Dr.). The site provides a popular trail for walkers, runners, and bicyclists, and benches for leisure. Bird and wildlife watching opportunities abound; visitors should be on the lookout for beavers, songbirds, waterfowl, and red-tailed hawks soaring overhead.